Casinos have been legal in Canada for 30 years now. The successes of first land based casino in the Manitoba province were soon noticed by other Canadian provinces, such as British Columbia and Quebec, for example, so they opened up their own land based casinos not long after and were able to capitalize on their investments very soon. One thing that certainly helped them was the fact that gambling was very well regulated by Canadian government as well as certain gambling commissions, like Kahnawake Gambling Commission, which regulates gambling games from 1999 and is one of the first in not just Canada, but also the world to do so online. But, things are changing. People are no longer as impressed by big casinos as they used to be. James Bond movies are one of the few things that still keep players in the land based casino. And, of course, not to mention the fact that most traditional casinos look nothing like them or the famous casinos you can see in Las Vegas. Most of them are just places with a few slot machines, a couple of used up poker tables and, of course, a lot of smoke. Today, not many people visit Canadian casinos that regularly, so a lot of them had to close shop since they could no longer pay the bills. But, those were just the ones that didn’t see, or refused to see what the future of casinos is, not just in Canada, but anywhere else in the world. 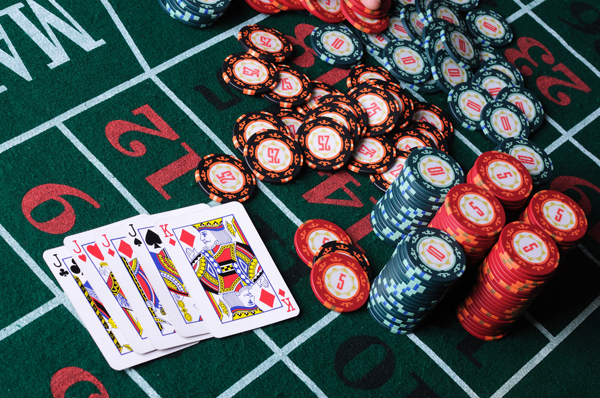 Online casinos can offer so much more to casino owners in Canada than traditional casinos. Expanding their player base with thousands of new players is certainly one of them. So, in addition to regular players and people who stopped by once or twice, they can now attract even people who have never entered their casino before. Another reason why Canadian casinos should go online is the fact that they won’t be having so much expenses. Running a land based casino is very expensive. You have to pay your employees, bills for water and electricity, taxes (which are pretty high) and, on top of that, you have to make an impression on your visitors who enter it by making everything look incredibly expensive and shiny. You won’t be having these problems with online casinos. In fact, except for a few people to run your web site, a server to place it on and a couple more things, you will practically have very little expenses. And you’ll still attract people to your online casino. Of course, Canadian province governments have already seen that going online could be the very thing that will save their casinos (most of the land based casinos in Canada is owned by the province in which it is located), so they started going online and pretty much abandoning their land based casinos. If you ask me, this is exactly what a smart government should do, instead of trying to fight windmills and going to court.